Michelle Burke is a self-employed hygienist and dental therapist who divides her time between two practices in Sale and Timperley, Greater Manchester, both part of the DCO Dental Group. Working with a mix of NHS and private patients, the emphasis at DCO is very much on preventative care, aiming to preventing dental disease rather than treating it at a later date, and Michelle’s role is an important part of this ethos. When it comes to cleaning, stain removal and polishing, Michelle turns to her NSK Prophy-Mate neo dental air polisher, and here she talks about why it has become such an important part of her daily work routine. “Many of my patients are affected by tooth sensitivity and it’s an unfortunate fact that a good number of patients we are seeing these days are suffering as a result of drinking too many fizzy, sweet drinks and have a high sugar intake, so they present with a lot of tooth erosion. Tooth sensitivity can become a difficult problem for hygienists when it comes to cleaning, scaling and polishing, especially when cleaning along the gum line. But when I use the Prophy-Mate neo on patients with sensitivity issues, they are always pleasantly surprised about how comfortable the treatment is, which to me is a real bonus. I have been using the Prophy-Mate neo now for over three and a half years, and it replaced the original NSK Prophy-Mate model that I used for many years. The new Prophy-Mate neo is easier to use and much more lightweight. The old model felt heavier as you went through the day’s treatments, and I’d often end the day with an ache in my hand. With the Prophy-Mate neo its ergonomic design makes it much easier to hold so you just glide through the day, and my aching hand has now become a thing of the past. 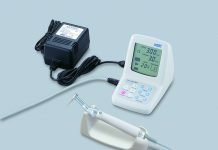 With the Prophy-Mate neo I find the tips are highly adaptable and adjustable and I almost exclusively use the 60° tip for routine cleaning and maintenance, but for harder-to-reach anterior areas, or where teeth are badly inclined or compacted, I have no hesitation in turning to the 80° tip to get results. I use FLASH pearl® powder with the Prophy-Mate neo, which I find is a great combination for really effective removal of stains, plaque and calculus. FLASH pearl® granules are small and spherically shaped, allowing for better access to clean all target areas effectively. 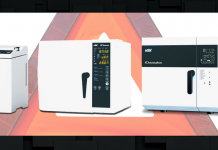 In terms of maintenance, I find the Prophy-Mate neo is easy to look after and as long as the recommended cleaning routine is followed you will not have any problems with blockages or breakdowns, and it goes through the autoclave quite happily. I can also rely on support from NSK should I need any further help or advice; they are always available and a fantastic help to the whole team. 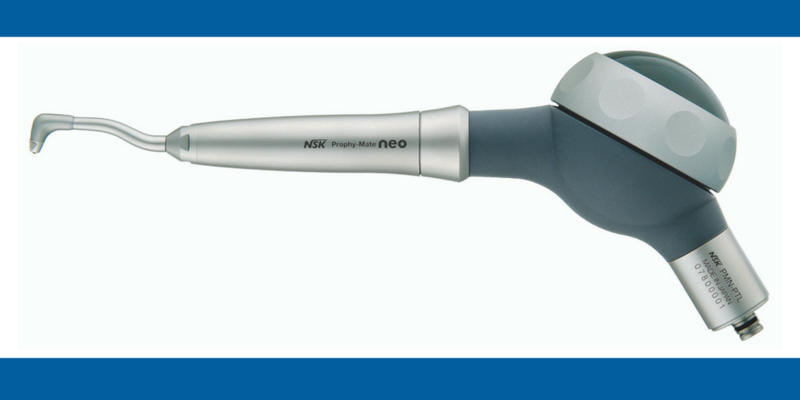 NSK’s Prophy-Mate neo is a proven ergonomic and easy-to use-air-driven dental air-polishing unit that makes routine cleaning and polishing procedures easier and more efficient than ever before. Prophy-Mate neo is a compact and lightweight system which includes both 60° and 80° tips, maximising cleaning even in difficult to reach areas. Its 360° easy swivel offers stress-free and comfortable use. The system is ultra lightweight and portable and includes a transport case. Combined with FLASH pearl®, a spherical particulate calcium powder, which is specifically designed to roll smoothly over the tooth surface leaving no area untouched, it quickly and safely removes stains, plaque and calculus to give sparkling results every time. 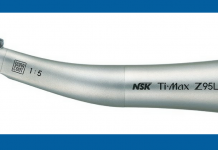 NSK is so confident that hygienists and therapists will be delighted with the results achievable with Prophy-Mate neo that it’s offering a no-obligation 10-day ‘try before you buy’ introduction. For more information, visit www.myprophymate.co.uk or to request a 10-day free Prophy-Mate neo trial, contact NSK on 0800 634 1909 or your preferred dental dealer.